Night time barking is one of the most common nuisance complaints and lets face it, a dog barking all night is very unpleasant for everyone within hearing distance. Barking at night can be for a number of reasons, it could be that your dog isn’t feeling well, needs the bathroom, is bored or nervous or maybe just responding to noises in the environment. Punishment or intimidation to stop your dog expressing themselves can increase anxiety and make the behaviour worse. The key is to work out the reasons for the night time barking and solve the issues causing it, in other words to stop night time barking we need to ensure that all of our dog’s needs are met throughout the day. Young puppies have very poor bladder control and will be homesick. If your puppy has just arrived, then some noise at night is normal, especially if your puppy is learning to sleep alone. Because night time barking can easily become a habit, it’s best to pre-empt the waking pup and get up and take him for a toilet break before the barking starts. Is your dog receiving enough exercise? Just like us, we all sleep better after a day of healthy exercise and mental enrichment. A dog that is tired out from a visit to the park is more likely to sleep through the night. Does your dog have access to some where to toilet through the night or are they given adequate time before bed time? Dogs are social animals and this may be a harder one to tackle. If your dog doesn’t sleep with you at night, but is locked away by himself it could be loneliness or even separation anxiety. You don’t have to allow your dog to sleep with you if you don’t want to, but for the purposes of a good nights sleep, you may want to consider a crate or bed in your room, especially if your dog is getting older. Elderly dogs with failing hearing may find it a comfort to sleep close to their owners. 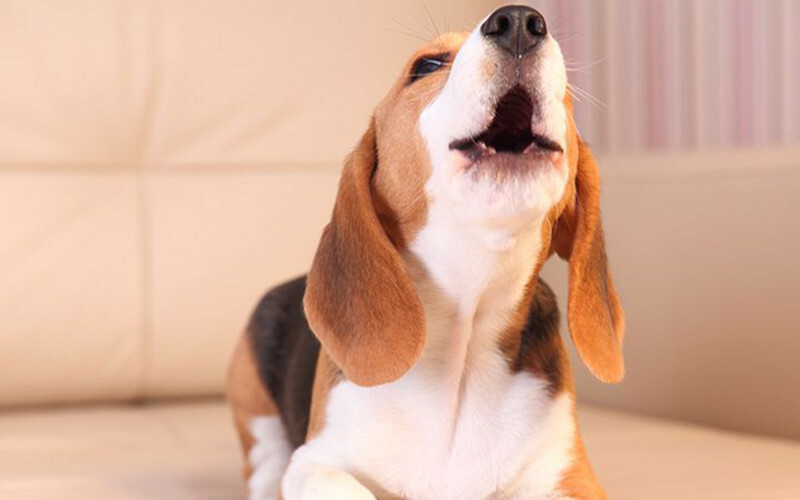 If your dog starts barking at night, there may be a disturbance causing it. Check for mice, possums etc that may have may have moved into your home or maybe a noisy neighbour. Night time barking can very quickly become a habit, so you should investigate as quickly as possible. A common mistake is rewarding your dog when it’s barking. If your dog barks at night for whatever reason and you get up and pay them attention or even take the dog to bed with you, your dog will associate barking with gaining your attention and the problem will continue long after the original issue is resolved. If you are woken by your dog barking, you should check to ensure there isn’t a genuine reason. If the dog is clearly fine, keep the visit brief and uninteresting. Go back to bed as fast as you can. If you stop reinforcing the bad behaviour it will diminish and eventually stop. If all the above have been eliminated, then it’s a good idea to get a vet check just to be sure that there is not an underlying health issue. Senior dogs can also suffer from Canine Cognitive Dysfunction (Doggie Dementia) and if they are exhibiting unusual behaviours, you should seek vet advice.